Come join us for A Red Carpet Evening at the Fox! While the movie stars walk the Red Carpet in Hollywood Sunday, February 24, 2019, we invite you to join us for our own fun and glamorous Red Carpet Evening at the Fox Performing Arts Center. Who will win best picture? Which actor will leave with the most golden loot? See all of that and more at the glitziest watch party in town! You’ll get a chance to walk our red carpet for a photo shoot before slipping upstairs to our exclusive VIP event, to join us for the live awards broadcast. Simulcast in our luxurious lounge at the Fox Theater and on the big screen, you’ll be joined by others in their dazzling dresses and suits – including a pair of celebrity look-alikes! – and enjoy a decadent gourmet buffet and celebrity-grade cocktails. And for you movie buffs, cast your ballots for who will go home with the gold statue! Winners of our prediction contest drawing will take home tickets to next year’s Broadway season at the Fox. – Silent Auction of luxury goods and services from the best of the I.E. This is an evening you won’t want to miss – click the “Tickets” button below and buy your tickets today! For sponsorship information, please click here, or call 951.826.5769 or email Cynthia Wright at cynthia@riversidefoxfoundation.org for further details. 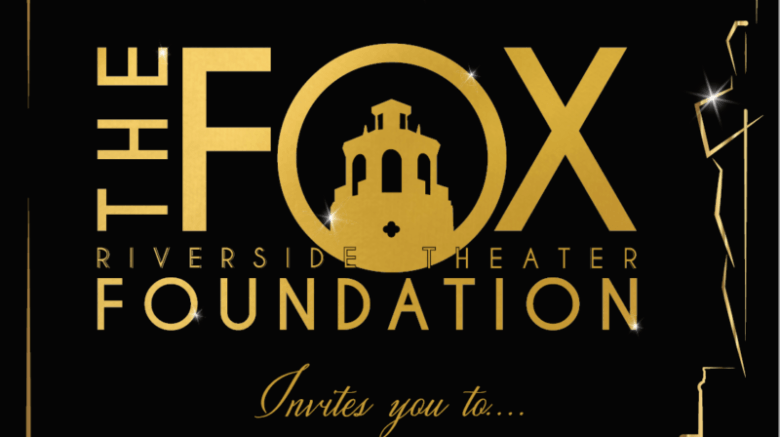 Proceeds from A Red Carpet Evening at the Fox will support the Fox Riverside Theater Foundation’s many programs that support community access to the Fox Performing Arts Center through education and outreach.